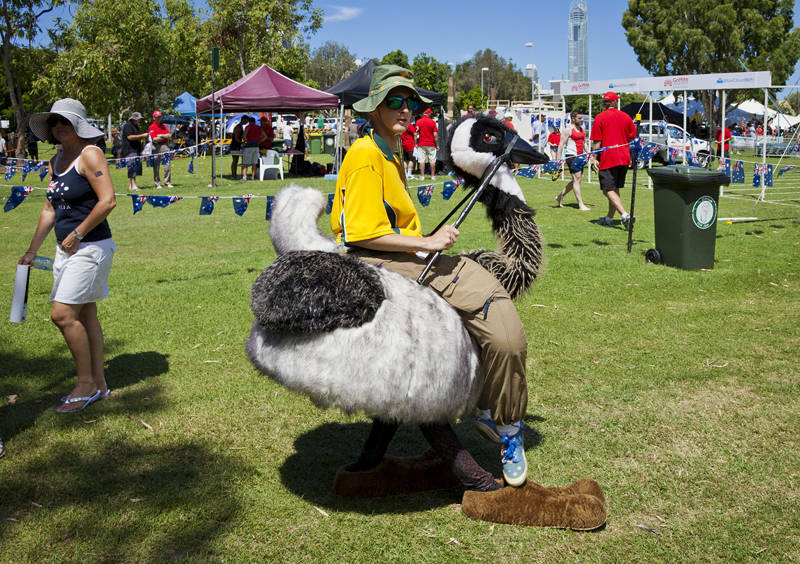 Today Australia celebrated its national day. It is the anniversary of the arrival of the First Fleet from the UK in 1788. The Gold Coast Council put on an event in Surfers Paradise so we cycled down from Southport. There was sheep shearing, wood chopping and various reptile displays. We saw a demonstration of cooking with local bush tucker and then took our chances with some festival food.